Strata Biography, Discography, Music News on 100 XR - The Net's #1 Rock Station!!! 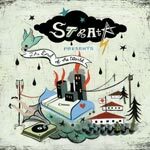 Campbell, California USA-based Strata formed in 2000, comprised of vocalist Eric Victorino, guitarist Ryan Hernandez, bassist Hrag Chanchanian and drummer Adrian Robison. 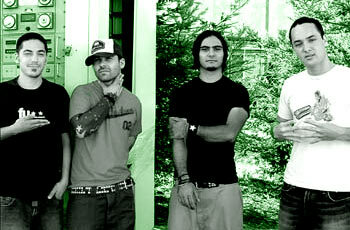 Known for a vast, complex and expressive style of heavy Alternative-Rock, the quartet released their first full-length, "Sleep", in 2001 to good response and followed up with an internet-only album titled "When It's All Burning". After being disappointed in Los Angeles, they remixed "When It's All Burning" and tried to put it out on an independent label or by themselves. From May 2003 Strata spent time touring the United States alongside bands like Dredg and Alien Ant Farm which led to a contract with Wind-up Records. 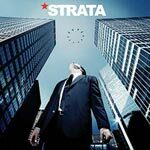 In July 2004 Strata finally released its long-awaited official self-titled first album which included the alt-Rock radio minor hit "The Panic". 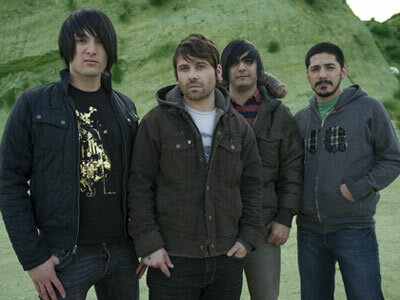 "Cocaine (We're All Going To Hell)" was the first single taken from the band's sophomore album, "Strata Presents The End Of The World", which was released in July 2007. It peaked at #24 on the Billboard's Top Heatseekers Albums chart. Nearly a year later Victorino started his own Alternative Elctro-Pop project called The Limousines and Strata remaining members parted company.